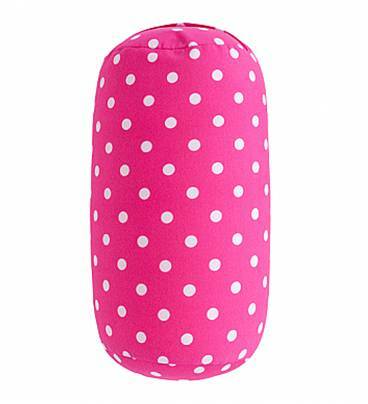 The versatile Barrel travel pillow is great for heads, shoulders, legs and cuddling up to! 35cm long, super lightweight and built-in carry handle. Filled with tiny Styrofoam beads that drip dry, Squidgy Barrel loves water and will cradle your head, shoulders, under your legs, etc in complete comfort. The versatile 'light as air' barrel-shaped travel pillow. Super comfortable - don't put up with neck, leg, shoulder stiffness!